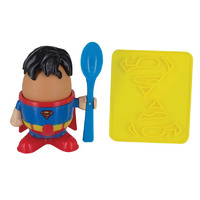 Superman Egg Cup and Toast Stamp | Superheroes know that breakfast is important! 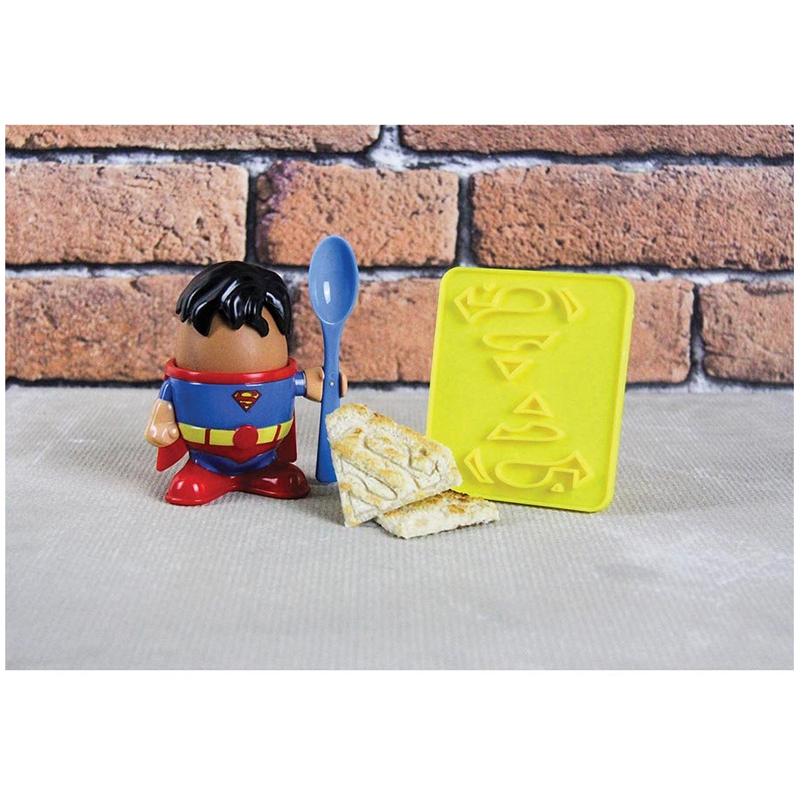 So kick start your day the right way, KAPOW! The perfect way to serve your boiled egg. 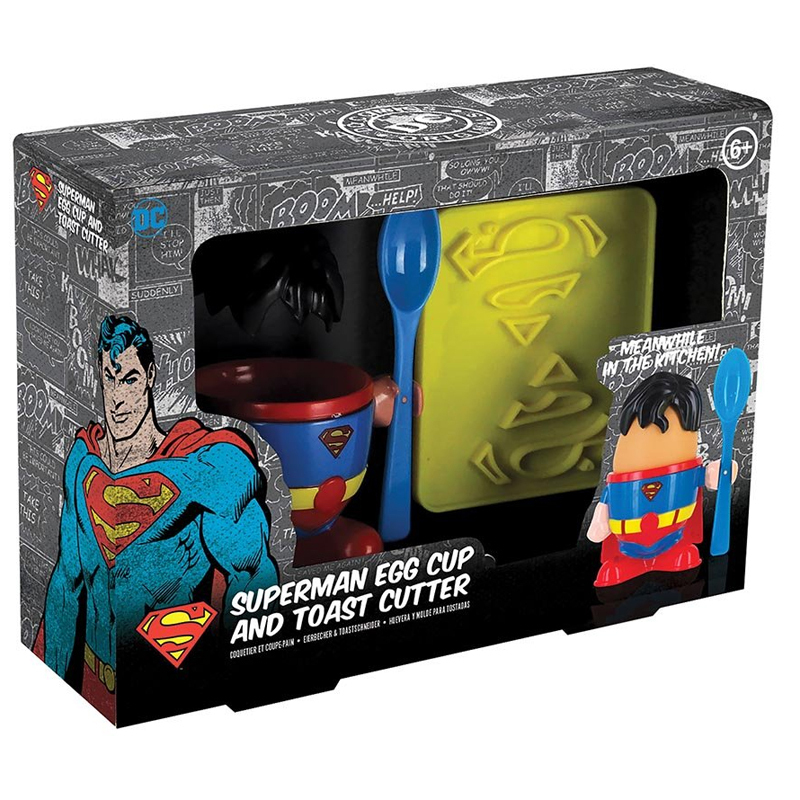 It's not a bird, and it's not a plane, it's Superman, your American superhero, ready to serve you breakfast with an egg and two slices of superman inspired toast! Designed with fussy eaters in mind, it's time to turn that frown upside down as you transform regular old toast into fun-filled Superman logos. 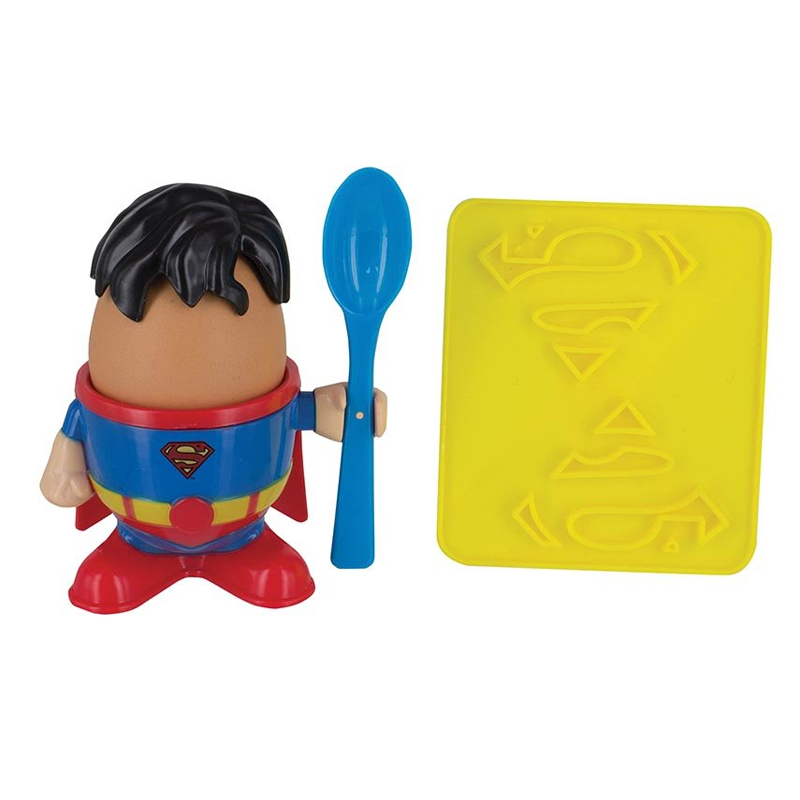 Use the matching plastic spoon to introduce the egg, served inside a Clark Kent inspired egg cup, complete with slick hair, boots and cape! So start off your day the superhero way, it's an egg-celent way to get you little superhero to eat their breakfast!